Alison Kelly of Ireland, offered by Caddie Tours of Vienna, Virginia. Visit Alison's favorite places. Castles & Craic! History & Hysterics! Sure, you’ll have the time of your life! Tour Highlights: Galway City, Catamaran Cruise, Kylemore Abbey, Cliffs of Mohar, Killarney, Ring of Kerry, Horse Drawn Jaunting Car Tour, Blarney Castle, Kilkenny Medieval City, Dublin City, Brazen Head Pub Folklore & Storytelling Show. Alison Kelly is a motivational speaker known for her humorous and uplifting presentations. She was born and raised in Dublin, Ireland and currently lives outside Annapolis, Maryland. She loves to share her beloved homeland with those who have 'Visit Ireland' on their bucket list! 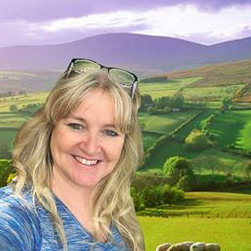 Each location and activity on this tour have been chosen by Alison to guarantee a fun-filled Irish cultural experience.